One of my favorite sets of commercials has to do with the Geico Gecco. He’s fun, wacky, and trustworthy. 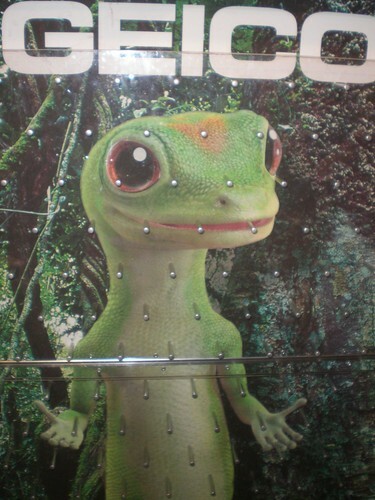 Whether that is the message that Geico wants to send or not, I am not sur, but that is the message I get! Every business that is successful has mastered a key success factor: They have defined their brand, and they embody their personal brand. In a business sense: A brand is a perception or emotion, maintained by a buyer or a prospective buyer, describing the experience related to doing business with an organization or consuming its products or services. In a personal sense: Your brand is a perception or emotion, maintained by somebody other than you, that describes the total experience of having a relationship with you. A strong individual brand is distinctive: it stands for something. It has a point of view. A strong individual brand is relevant: what it stands for connects to what someone else considers to be important. It is consistent: people come to believe in a relationship based on the consistency of behaviors they experience or observe. In order to be distinctive, both in your business, and in your life, you need to think about what you specifically stand for, and what you represent. If you’d like to learn more about clarifying your own set of values, read my article, What Everybody Ought To Know About True North. You cannot just project an image as part of your brand: you have to commit to live according to the values you have decided are most important to you. In order to be relevant, you must be an understanding of what others’ needs, values, and expectations are. This does not mean that you are trying to “people please.” But, from a business standpoint, it means that you have taken the time to study your customers, and to know what they are needing, valuing, and wanting. To take it a step further, it means that in social networking, you are listening to your followers and adding value to their agendas. In your personal life, it means that you are working on win-win listening and problem solving that results in synergy. In order to be consistent, you will have to remember that trust is earned and built, not instant. Hence the importance of living a life of character, committed to your values. McDonald’s is a fast-food icon because the food it serves is the same, time and time again, no matter what part of the country you buy your Big Mac in. You establish consistency by being dependable. Every action you take, today, throughout the next week, will build your reputation, and will in turn either contribute or detract from your personal brand. Do you know who you are? Do you know what you stand for? Are you living out who you are and what you stand for? Reflect on it, commit to it, live it, and you will stand out from the crowd! Let me know what you think: Send me a tweet, comment below, and share with your friends.